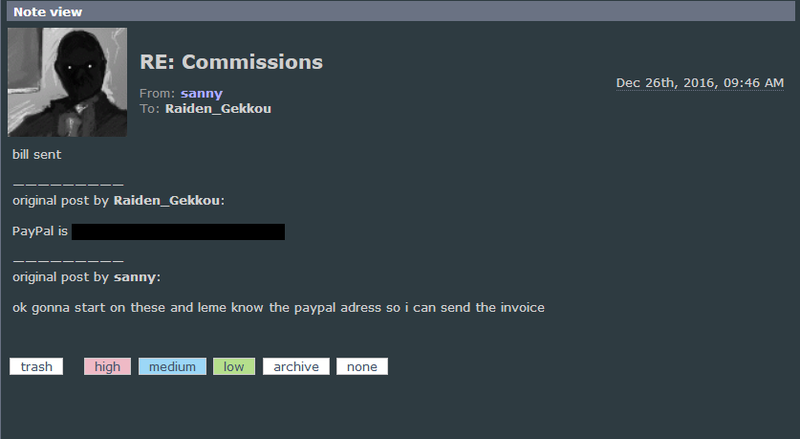 Beware: Sanny - "Artists Beware"
WHEN: Payment was agreed upon and sent on December 26, 2016. 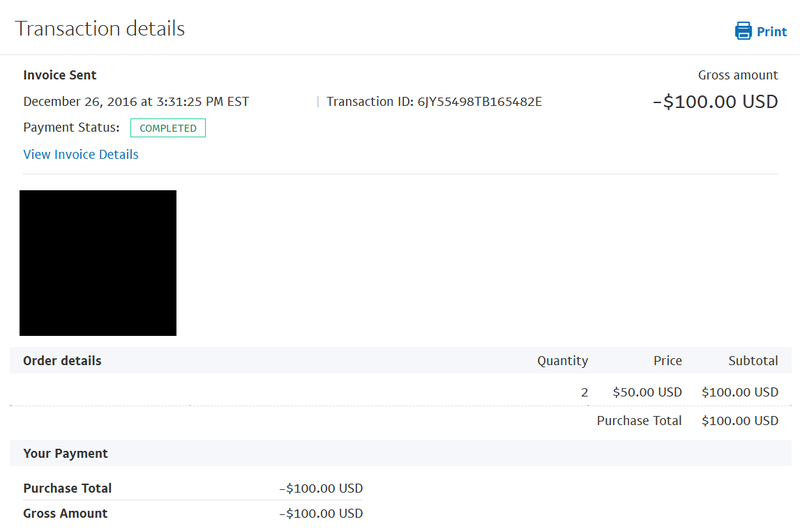 PROOF: The agreement and the PayPal invoice. 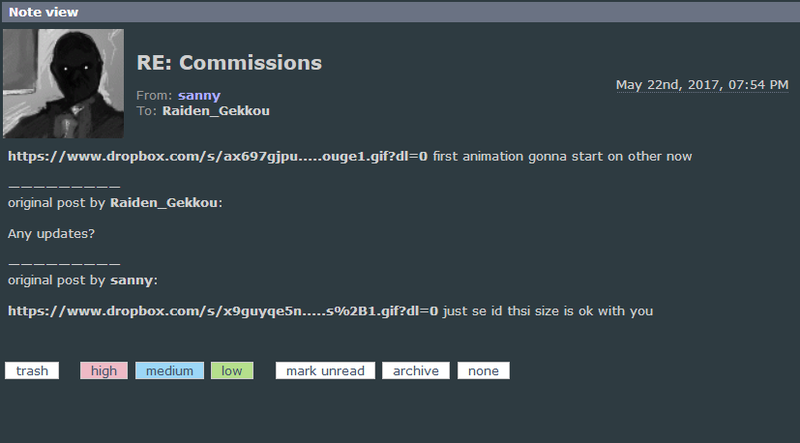 EXPLAIN: I commissioned Sanny for 2 YCH gifs that he was offering for $100: Example(NSFW). I usually check in every month or so to see if progress is being made, and for the first month, he told me "it's getting there." After seeing him post some more commissions and then advertise daily stream commissions, I decided to check in again the next month and was told that it's a slow process, but it's still happening. A little later, he messaged me back with the first preview and I approved it, but had him make a slight change a few days later, after which he sent me the revised WIP. 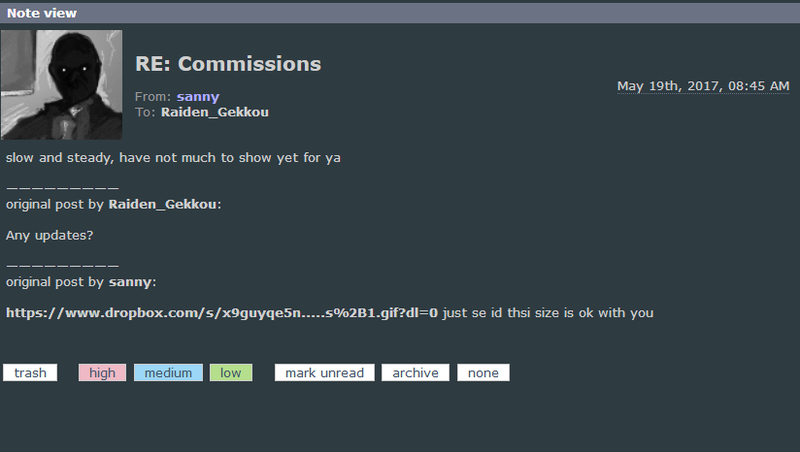 After another month or so, I decided to ask a few people who had also commissioned the same YCH to get an estimate of how long it should take, and the responses were anywhere from 2 to 4 weeks. After this, I asked him for another update and was told that there wasn't much to show yet. I was going to ask for a refund at the 5-month mark, but he delivered the first piece right before then. I asked for a progress update on the second piece 4 months later and was told again that "it's getting there," and after another 4 months I get the WIP for the second image. I haven't heard anything since and he's still posting up more commissions. EDIT: Finally got the second piece on October 2, 2018, so this whole ordeal took a little over 1 year and 9 months. 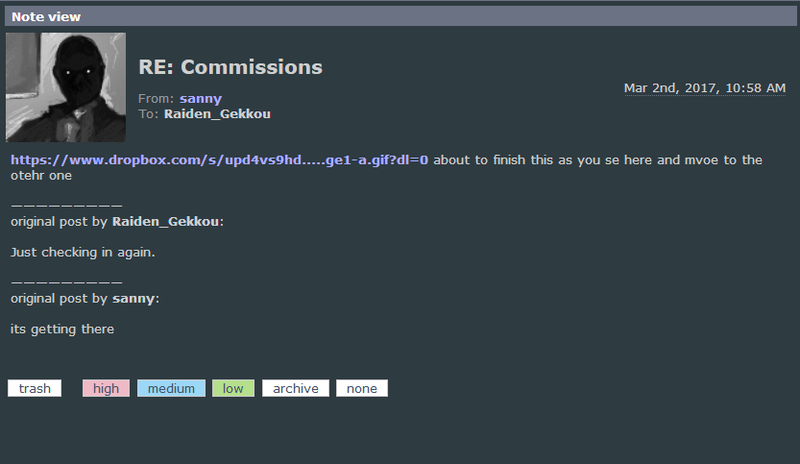 EDIT 2: Apparently, it wasn't the final version and he said he'll inform me when the updated version is done, so back to waiting again.